Our gluten, wheat and milk free multiseed sandwich thins are a deliciously soft and simple alternative to traditional bread. They're packed with a delicious mix of linseed, sunflower and millet seeds for added texture and flavour, making them the ideal complement to a wholesome breakfast, crispy salad or a hearty soup. Water, Tapioca Starch, Potato Starch, Maize Starch, Seed Mix (4.5%) (Sunflower Seed, Linseed, Millet Seed), Rapeseed Oil, Yeast, Pea Protein, Egg White Powder, Sugar, Vegetable Fibre (Psyllium), Stabiliser: E464; Fruit Extract (Carob and Apple), Salt, Humectant: Vegetable Glycerine; Rice Flour, Preservatives: Potassium Sorbate, Calcium Propionate; Caramelised Sugar, Natural Flavouring. of your reference intake. Typical values per 100g: Energy 1193kJ/284kcal. 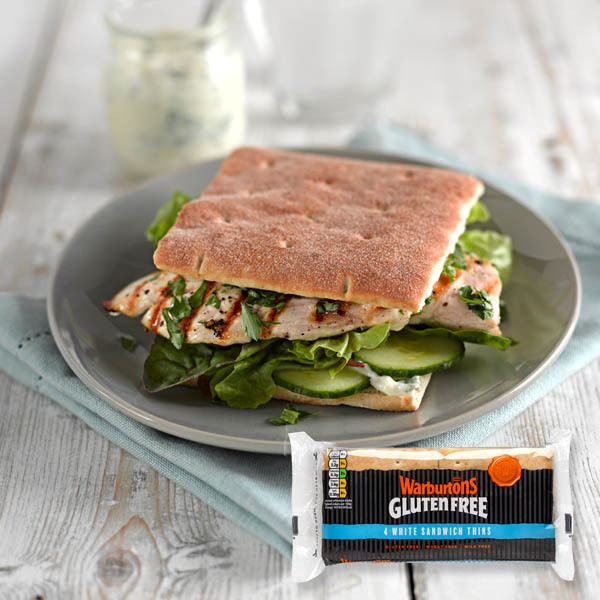 These gluten, wheat and milk free white sandwich thins are made from a deliciously soft mix, baked to be thin and pre-sliced for your convenience.